Stars: Dylan O'Brien, Kaya Scodelario, Thomas Brodie-Sangster, Ki Hong Lee, Jacob Lofland, Rosa Salazar, Lili Taylor, Patricia Clarkson, Giancarlo Esposito, Barry Pepper, Aidan Gillen. Listen here for audio of radio interviews about films from a Christian perspective with Pastors Ted Giese and Todd Wilken on IssuesEtc.org where Christianity meets culture. Star Wars V: The Empire Strikes Back is widely considered one of the best movie sequels of all time, Maze Runner: The Scorch Trials is no Empire Strikes Back. 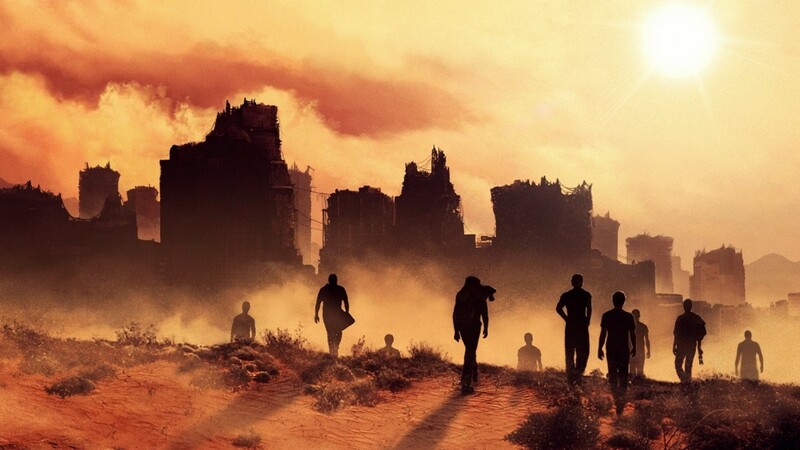 Maze Runner: The Scorch Trials is Wes Ball's follow-up to his film The Maze Runner (2014) based on the young adult sci-fi book by James Dashner. Picking up where the previous film left off, Thomas (Dylan O'Brien), Teresa (Kaya Scodelario) and their surviving friends—the Gladers—who escaped the maze of the first film find themselves catapulted into a bigger story with new challenges. The story takes place in an environment as harsh as the maze, just as unforgiving, and just as deadly, so again the theme is about overcoming adversity while trying to escape. The first film was about escaping the maze made by the biotech-obsessed paramilitary organization called WCKD (WICKED - World In Catastrophe: Killzone Experiment Department). This second film is about escaping from WCKD's plans to use the teens for continued laboratory experiments to find a cure for a disease called "the flare." In their efforts to escape Thomas and his friends must cross a scorched, post-apocalyptic, wasteland avoiding the human victims of "the flare" who tragically have turned into something like fast-moving zombies called "Cranks." They must also carefully deal with the other survivors who live in the Scorch as they work their way to a group of resistance fighters (The Right Arm) in the mountains. They hope these resistance fighters can get them safely to a place called the "Safe Haven." The James Dashner book series upon which these films are drawn is a derivative imitation of dystopian young adult works like Suzanne Collins' The Hunger Games and Orson Scott Card's Ender's Game. These books, and books like Veronica Roth's Divergent series, have all received the big-budget Hollywood film treatment lately. And with all these teen dystopic angst-ridden films hitting the theatres, directors like Wes Ball have their work cut out for them: How to make your movie series stand out from the crowd. Like all these other films Maze Runner: The Scorch Trials has lots of action, its share of paranoia, and brooding good-looking teen characters with a dash of romance. Nothing new here. Sadly, some of the distinctive things that made the first Maze Runner film intriguing and fun are missing. Gone is most of the Glader’s inventive slang. In fact, it's hard to remember if the Gladers (this group of teens who'd survived the maze of the first film) are even called Gladers in this second film. The first film had a lot of running; this second film also has a lot of running. What the film doesn't provide is answers. While the first film set up a mystery and planted the hope a second film would provide some answers, what we have instead are more questions. This could easily leave viewers who are unfamiliar with the book series confused and frustrated. As in the first film Thomas' scepticism drives his actions and those of his fellow Gladers as they run from scene to scene. And while the Gladers are not always entirely sure about the direction Thomas is taking them, they are portrayed as very trusting. The question is whether they can trust him; not that he is an untrustworthy character, but rather whether he's making the best choices. Could he simply be naive? Could the mantra "WCKD is good," be true? After all, it is trying to cure the disease threatening humanity. Does Thomas actually have a plan? There is a tendency to want to root for a film’s lead character even when they are less than heroic. In the Maze Runner: The Scorch Trials some of Thomas' heroic lustre is becoming dull; he comes across as less brave and more stubborn. Is Thomas an admirable role model character, someone to be looked up to? This is a legitimate question Christian viewers may want to ask. Since the central character's name is Thomas, Christian and non-Christian viewers alike are in a way invited to make a connection to St. Thomas from the Gospels. In the first film it was easier to make the comparisons; in this film Thomas emerges as a character in contrast with St. Thomas. He still has elements of bravery and is still someone with questions about his situation, but this Thomas is less virtuous. Where will this character land by the time the credits roll on the final instalment The Maze Runner: The Death Cure, which is set to be released in 2017? Based on this film Thomas' future is as murky as his past. The film is rated PG-13 and isn't appropriate for children. Also its 132-minute running time feels long. No amount of running, explosions, or "zombies" can fix that. Can it hold the audience's attention? Will they care to know what happens next? A movie likeStar Wars V: The Empire Strikes Back left audiences hungry for more. After watching this film will people be hungry for more? 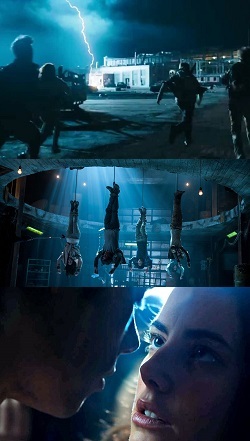 Maze Runner: The Scorch Trials is truly dystopic, darker and harder-edged than the first film in the franchise. What it lacks most is originality, inventiveness, and fun. Rev. Ted Giese is associate pastor of Mount Olive Lutheran Church, Regina, Saskatchewan, Canada; a contributor to Reformation Rush Hour on KFUO AM Radio, The Canadian Lutheran and Reporter; and movie reviewer for the “Issues, Etc.” radio program. Follow Pastor Giese on Twitter @RevTedGiese. Check out our new Movie Review Index! You can also find this article featured in the Reporter. Mount Olive Lutheran Church - Regina, SK. A member congregation of Lutheran Church Canada. Christ Centred, Cross Focused: Jesus Crucified and Risen for you. We aim to preach and teach Christ Jesus and provide sacramental care for the Christian Life. We are part of the Body of Christ come join us. © 2019 Mount Olive Lutheran Church - All rights reserved. Squareflo.com.